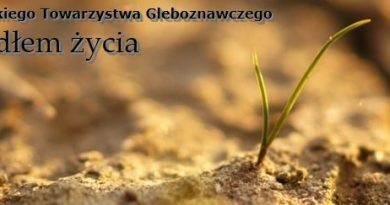 On May 6-9, 2018, a scientific conference “Świętokrzyskie Mountains and Ponidzie – soils developed on carbonate and sulphate rocks” and field workshop of the Commission of Genesis, Classification and Cartography of the Soil Science Society of Poland took place. Scientific patronage of the conference was taken by the Commission of Genesis, Classification and Cartography. The organizers of the conference were: Dr. Łukasz Uzarowicz (SGGW in Warsaw, chairman of the organizing committee), dr hab. Zbigniew Zagórski prof. SGGW (SGGW in Warsaw), dr hab. eng. Krystyna Ciarkowska (Agricultural University in Krakow), dr hab. eng. Ryszard Mazurek (Agricultural University in Krakow) and dr inż. 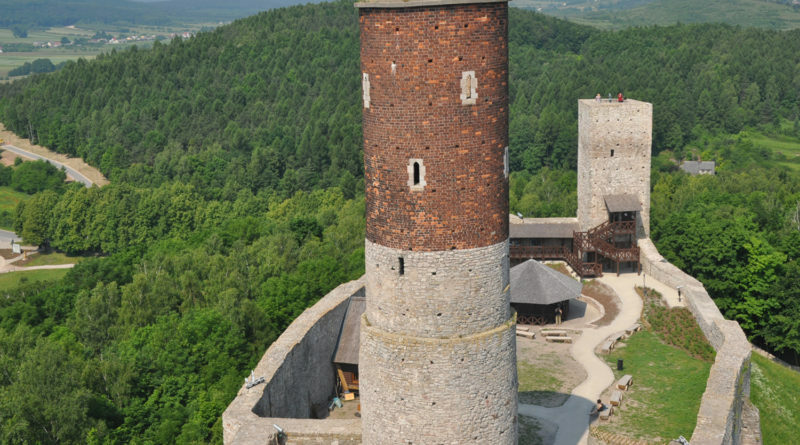 Bożena Smreczak (IUNG-PIB in Puławy). 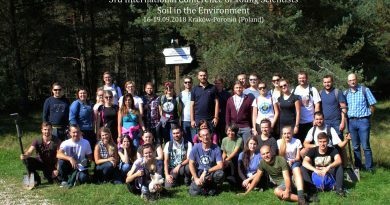 The venue of the conference was the European Center for Geological Education (ECEG) located in Korzecko near Chęciny town, several kilometers to the south-west of Kielce city. The Center is a modern research and conference center of the University of Warsaw put into use in 2015 and beautifully integrated into the area of an abandoned Devonian dolomite and limestone quarry. It has 170 beds and is equipped with auditoriums, conference rooms and teaching rooms, as well as professional laboratories, including geological mapping, hydrogeological, microscopic, computer and geophysical mapping laboratories. 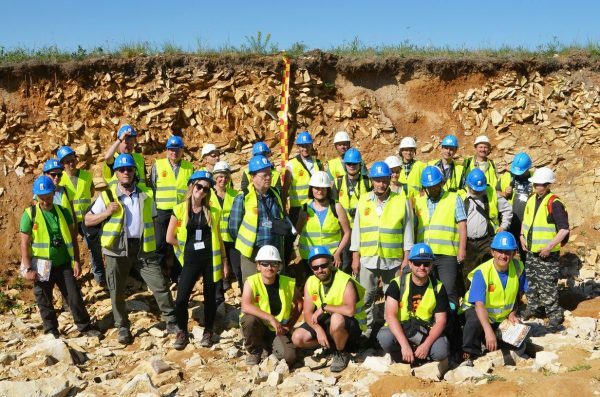 The most important part of the conference were two-day (7 and 8 May) field workshop, during which participants had the opportunity to see rendzinas developed from various carbonate and sulfate rocks of the Świętokrzyskie Mountains, their Permian-Mesozoic obstruction and Ponidzie. On May 7, the organizers presented soils formed from Middle Devonian limestones and dolomites, Permian conglomerates, Upper Jurassic limestones and Upper Cretaceous siliceous limestone. Some of the profiles were located in the slopes made at the edge of the limestone mines (Kowala Mine and Morawica Mine), thanks to which it was possible to observe the variability of the soil cover in the area of the mines. On May 8, profiles developed from Upper Cretaceous marls and two profiles developed from gypsum in Ponidzie were shown. In order to diversify the program of the conference, the organizers showed the natural and historical attractions of the Świętokrzyskie region, such as Paradise Cave, Przęślin Reserve, gypsum carst in Skorocice, the Royal Castle in Chęciny, the Chotel Czerwony village and the town of Wiślica. 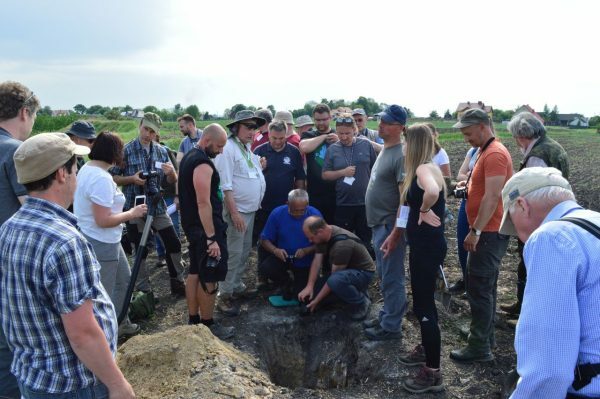 Workshop participants in the area of the Morawica Limestone Mine. In the background, soils developed from Upper Jurassic limestones(Photo Grzegorz Kusza).